Wes Lofts (Australia) Pty Ltd is a family-owned company which commenced operations on July 4th, 1968. 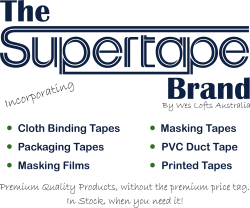 The core of the business was originally created around the Industrial Packaging market with the establishment of our top-quality Supertape brand of adhesive tapes. The beginning of the new millennium saw the company undertake a major product expansion to include various products in our “Industrial” accessories for the Canvas, Shade, Marine, and allied industries. 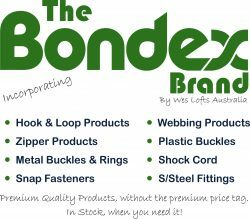 From this we have seen the company become one of Queensland’s key suppliers of Hook & Loop fasteners, Webbing products, Zipper products – all sold under the Bondex brand. This expansion and diversification has given our company a unique ability to service nearly any industry in any part of Australia. We are always searching for new products to introduce to our clients from our network of suppliers located within Australia and Asia. Furthermore, we pride ourselves on our specialised talent in finding that elusive product you’ve been searching for! Our Office and Warehouse in Brisbane is a modern operation staffed by long serving employees and centrally located to all transport routes providing efficient and effective service at all times. Company values have always been a high priority and our company policies stem from a strong focus in ethics, morals, commonsense and loyalty. We layer this with a strong focus on customer service and a supply of stock delivered in a fast and efficient manner. 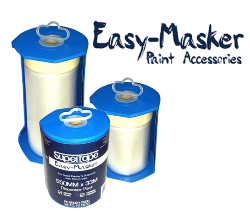 We hold high stock levels across all of our main product ranges so you can be confident of obtaining product when you need it the most! We as a company are very proud of our achievements over the past 48 years. We look forward to the future as we continue to expand and service businesses throughout Australia. To our valued clients, we thank you for your loyalty and we look forward to continuing to serve and support your business needs long into the future.